Half price - from wednesday or online now. We had one of these last year and it was lovely. 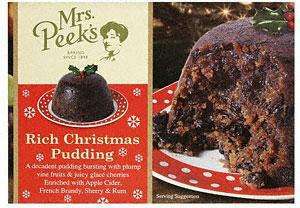 A decadent pudding bursting with ripe vine fruit & juicy glace cherries. Enriched with Apple Cider, French Brandy, Sherry & Rum.